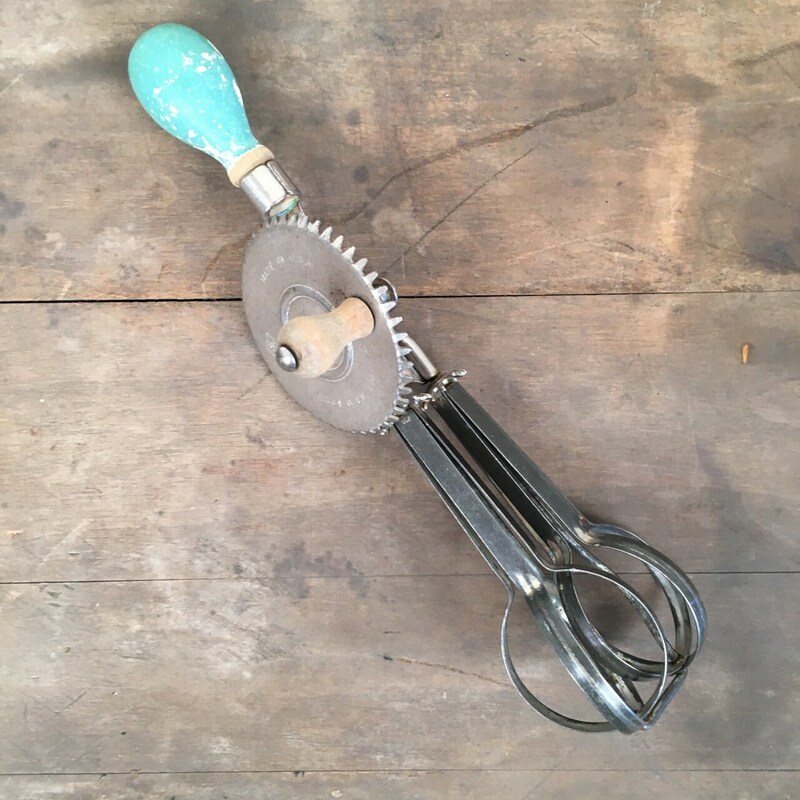 Vintage hand cranked mixers are fun to use and look great in the retro or farmhouse kitchen! What is unique about this one is the handle is a bulb shape and not the standard D grip handle. This is actually the first one I've seen like this. The classic green color on the handle does show some wear, but is solid and sturdy in the hand. The blades also show wear from decades of use but looks like it is still usable (no obvious rust.) 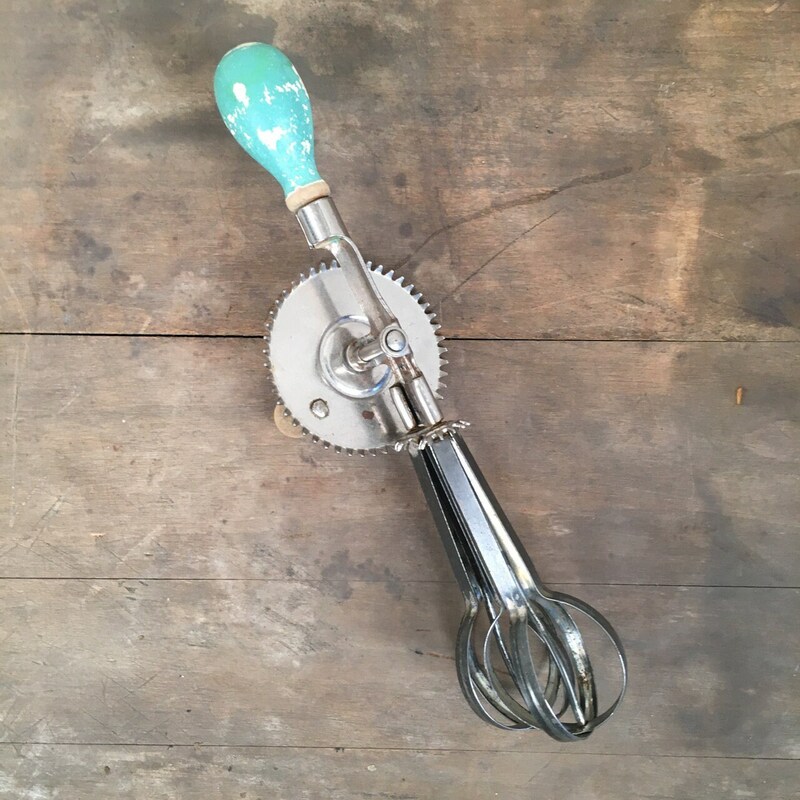 It cranks nice and smooth and will work nicely in the kitchen. Overall length is nearly 12".